The CoxHealth Foundation joins all of our CoxHealth family and community in mourning the loss of Catherine Cox Lipscomb. Known to friends and family as Kitty, Mrs. Lipscomb was the daughter of CoxHealth’s namesake and benefactor Lester E. Cox and his wife Mildred. Mrs. Lipscomb served on the Advisory Board for CoxHealth and had been a long-time friend and supporter of the Foundation. In September of 2010, along with her husband Jack, their son Larry and his wife Tracy, the family made a contribution to establish the new Emergency Department at Cox South. The Lipscomb Family Wing provided the largest ER expansion in CoxHealth history, enabling our physicians and staff to care for more patients, more efficiently and with new technology resources. 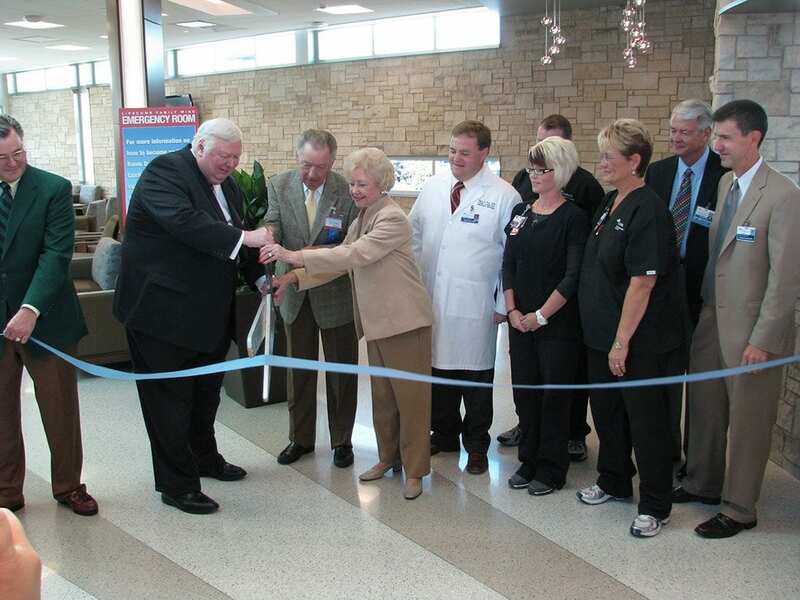 (Mrs. Lipscomb is pictured here cutting the ribbon on the new ER during the community ceremony on September 25, 2010.) Kitty and Jack also have several nursing scholarships at Cox College, including one that specifically encourages nurses to continue to grow in their education to achieve a masters level degree. Kitty greatly enjoyed participating in all the hospital events and shared with the Foundation staff the stories of her and her siblings visiting the hospital with their dad, learning his love of healthcare and appreciating the great contribution good health is to all of the Ozarks.